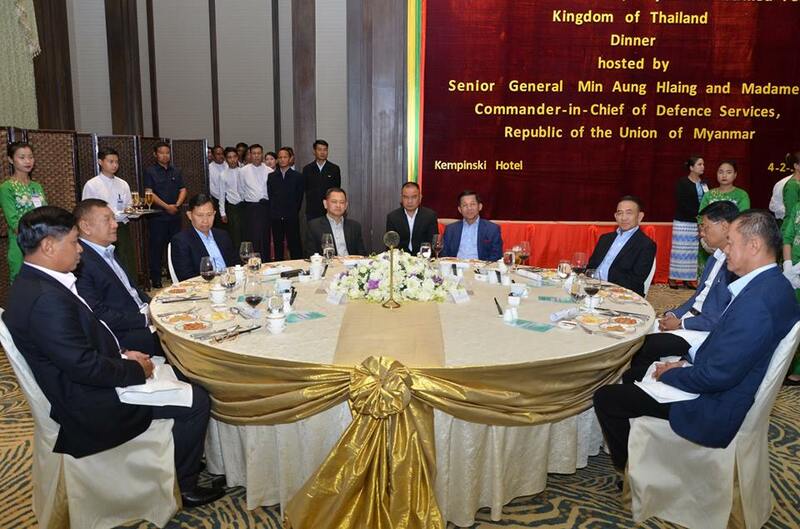 Commander-in-Chief of Defence Services Senior General Min Aung Hlaing hosted a dinner in honour of Chief of Defence Force of the Royal Thai Armed Forces Gen. Tarnchaiyan Srisuwan at Kempinski Hotel in Nay Pyi Taw this evening. 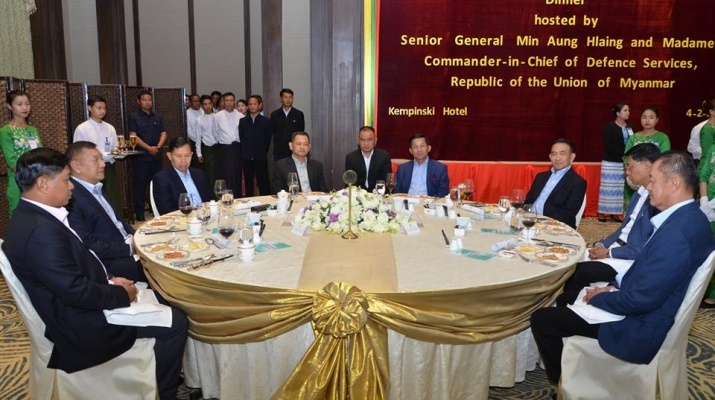 Also present at the dinner together with the Senior General were the Senior General’s wife Daw Kyu Kyu Hla, Deputy Commander-in-Chief of Defence Services Commander-in-Chief (Army) Vice-Senior General Soe Win and wife Daw Than Than Nwe, Chief of the General Staff (Army, Navy and Air) General Mya Tun Oo, Commander-in-Chief (Navy) Admiral Tin Aung San, Commander-in-Chief (Air) General Maung Maung Kyaw and senior military officers from the Office of the Commander-in-Chief (Army). 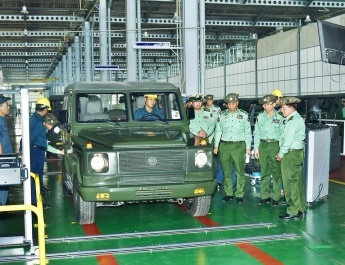 Chief of Defence Force of the Royal Thai Armed Forces Gen. Tarnchaiyan Srisuwan was accompanied by his spouse Mrs. Jiraporn Srisuwan and senior military officers from the Royal Thai Armed Forces. 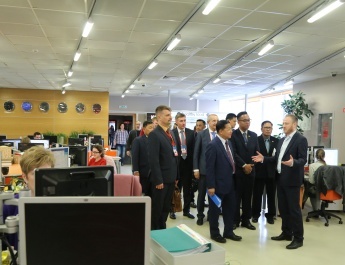 First, the Senior General and wife welcomed the Chief of Defence Force of the Royal Thai Armed Forces and spouse. 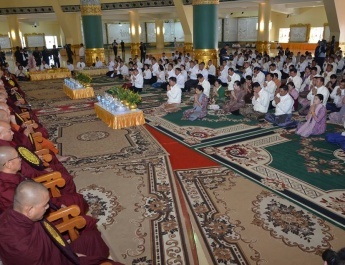 Then, they had dinner together with the guests. 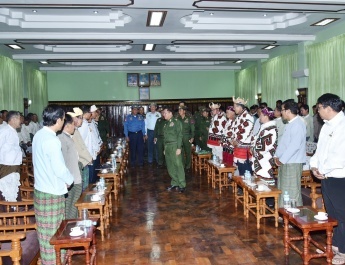 Myawady entertainment troupe under the Directorate of Public Relations and Psychological Warfare entertained them with songs and dances during the dinner. 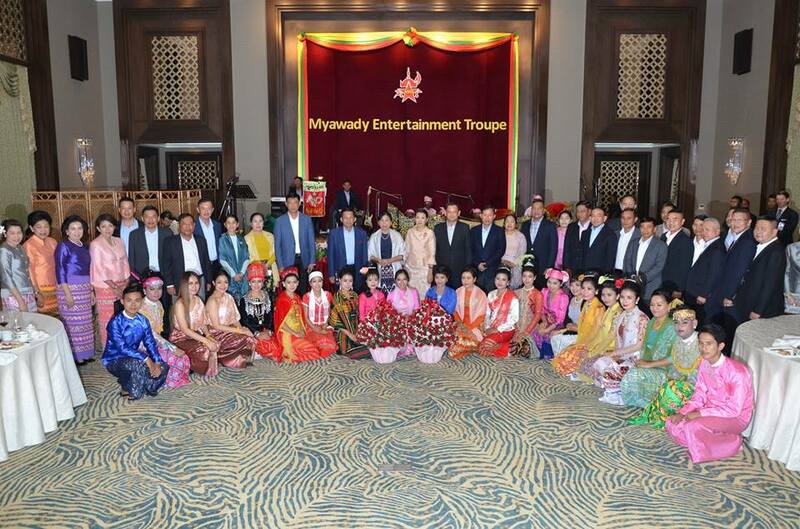 Two guest female vocalists from the Royal Thai Armed Forces also sang the songs together with the Myawady entertainment troupe. 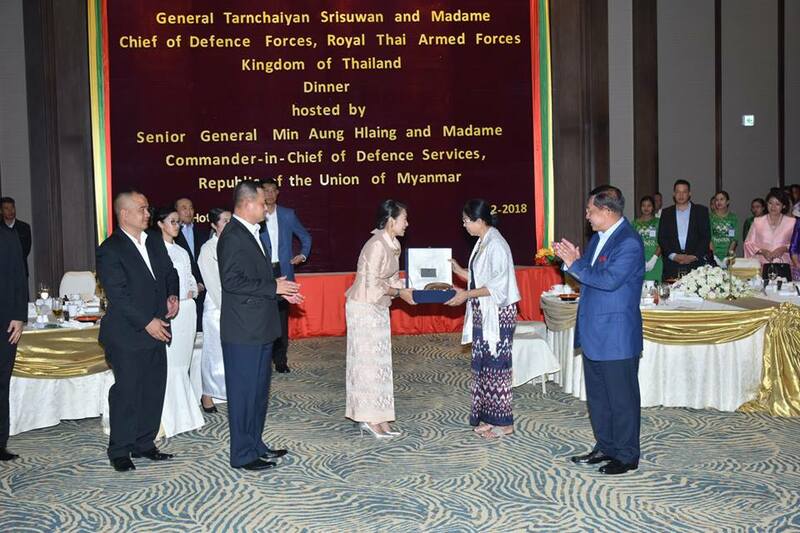 After the dinner, the Senior General and wife, the Chief of Defence Force of the Royal Thai Armed Forces and spouse exchanged gifts. 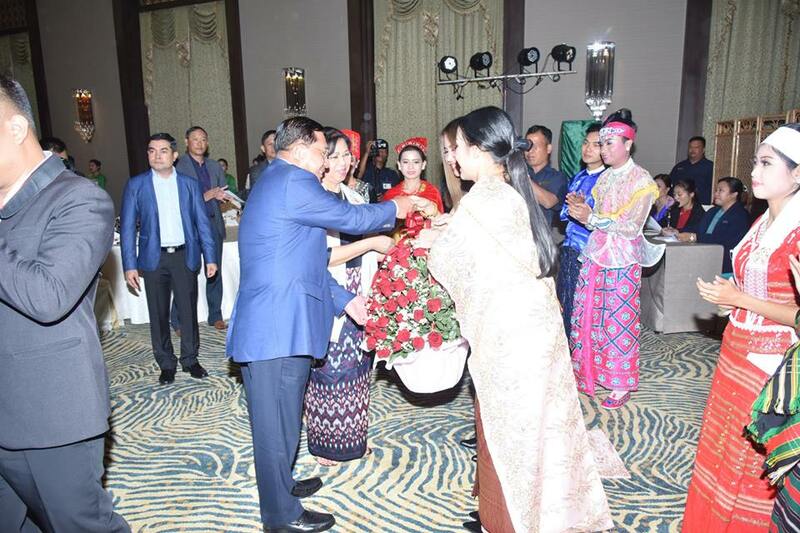 Afterwards, they presented flower baskets to members of the troupe and posed for documentary photo.